We've only just dipped our toes into spring, but Pokemon Go has already set its sights on summer. Today Niantic announced the initial lineup for the Pokemon Go Summer Events 2019, which will bring Pokemon Go Fest to three cities around the world and add more Safari Zones in the months to come. 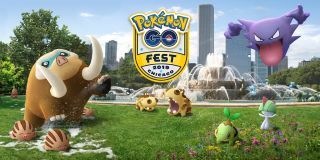 The first Pokemon Go Fest will be held in Chicago, Illinois on June 13 - 16. Just under a month later, Dortmund, Germany will get its own fest on July 4 - 7. A third festival is scheduled for later this summer in Asia, with a more precise date and region still pending. Players who are more interested in catching Pokemon than attending festivals will be happy to hear that "a number of Safari Zone events are coming up in the second half of 2019." Niantic has made a big show of topping last year's Summer Events lineup, promising "even more events in more locations," so it's safe to assume there will be more Safari Zones this time around. In 2018 we got four Safari Zones and 12 Community Day events, so I imagine the Pokemon Go Summer Events 2019 will build on that. And speaking of community events: you can go ahead and pencil in May 19, June 8, July 21, and August 3 if you're interested. Here's the latest batch of Pokemon Go raids, and for those looking to make some changes this summer, here's how to change team in Pokemon Go. You can also find more information on Pokemon Go Community Day here.